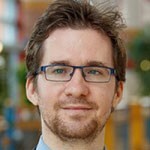 David Stillwell is Deputy Director of The Psychometrics Centre at the University of Cambridge. He is also Lecturer in Big Data Analytics and Quantitative Social Science at the Cambridge University Judge Business School. In June 2007, between obtaining his first degree and embarking on his Masters, David began a personal side project designing applications for social networks. The result was the myPersonality Facebook application that allows users to take real psychometric tests and receive feedback on their results. Today myPersonality has collected data from more than six million people and the resulting database has become a priceless academic resource used by numerous researchers all over the world. Since these early successes, the influence of David's work has expanded considerably, so that today its impact ranges from targeted online advertising, psychometric adaptive test development, ipsative techniques in test design, the real-time analysis of online digital footprints, behavioural prediction and state-of-the-art school examinations.